Chandigarh, built in the 1950s to a scheme by Le Corbusier and Pierre Jeanneret with their team of international and Indian architects, until the present day is regarded an icon of modernist urban design. Austrian artist Werner Feiersinger has recently travelled to the legendary capital of India’s federal state Punjab. 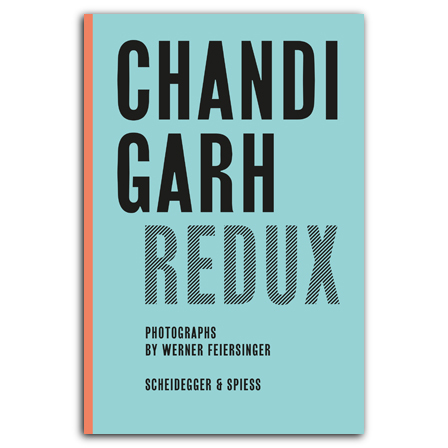 Inspired by Ernst Scheidegger’s book Chandigarh 1956, he has put together a vast pictorial account of the city’s famous architecture today. This new book features some 300 of Feiersinger’s photographs. With the keen eye of a sculptor, he shows the expressive sculptural qualities of the buildings. He captures the place’s vivid atmosphere and virtuosity and illustrates its continuous topicality. This artistic approach clearly distinguishes this book from previous publications on Chandigarh, most of which are of merely documentary character. The essay by Austrian architect Andreas Vass reflects on Chandigarh’s history, its architectural qualities, and its future development. , born 1961, is an architect running his own studio in Vienna. He has realized numerous projects in Austria and won several international awards. , born 1966, is an Austrian sculptor and photographer living and working in Vienna. He did his artistic education at University of Applied Arts in Vienna. He has lectured at Ecole nationale supérieure des beaux-arts de Lyon in 1999 and, as a visiting professor, at University of Applied Arts in Vienna 2006–08.